On its return to Earth, the U.S. commercial starship Nostromo is diverted to a desolate planetoid after receiving a cryptic signal from a derelict alien spacecraft. While exploring the alien ship, one of the Nostromo's crewmen discovers the remains of the ship's pilot and also a large chamber that contains thousands of egg-like objects. One of the eggs releases a creature that attaches itself to his face and renders him unconscious. The others break quarantine to bring him back aboard the ship. The parasite dies and the crewman wakes up, seemingly fine. Soon afterwards, an alien organism bursts from his chest and grows extremely rapidly into a terrifying eight-foot (equivalent 2.5 meters) tall creature that starts killing off the crew. After 57 years in hypersleep, the sole survivor of the Nostromo, LT Ellen Ripley, awakens aboard a medical space station orbiting Earth. Her story of the Alien terror she encountered is disbelieved and she learns that the planetoid from the first film (now designated as LV-426) is now home to a terraforming colony. When contact with the colony is lost, Ripley, against her better judgement and to regain her pilot's license, hesitantly accompanies a squad of high-tech Elite Colonial Marines aboard the spaceship Sulaco to investigate. Once there, they discover the colonists have been wiped out after they had found the derelict alien ship (and its deadly cargo) from the first film. Due to a fire aboard the Sulaco, an escape pod carrying the survivors of the second film is automatically jettisoned. It crash-lands on the refinery/prison planet Fiorina "Fury" 161, but Ripley is the only one to survive the crash. Unbeknownst to her, some alien facehuggers were also aboard the ship. Before long, a full-sized Alien is then loose in the prison, killing the inmates and staff. 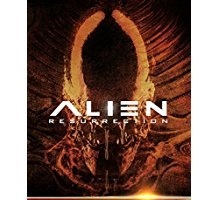 Ripley also discovers there is an Alien queen growing inside her, and must not only kill the rampaging Alien but also herself in order to save humanity. Two hundred years after the events of the previous film, Ellen Ripley (and the Alien queen she was carrying) are cloned. 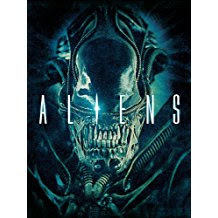 The Alien queen is surgically removed from her body as the United Systems Military hopes to breed Aliens to study on the spaceship USM Auriga, using human hosts kidnapped and delivered to them by a group of mercenaries. 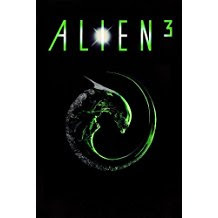 The Aliens escape their enclosures, while Ripley 8 (a clone who contains some Alien DNA herself) and the mercenaries attempt to escape and destroy the Auriga before it reaches its destination, Earth. In 2004, a Predator ship arrives in Earth's orbit to draw humans to an ancient Predator training ground on Bouvetøya, an island about one thousand miles north of Antarctica. A buried pyramid which gives off a "heat bloom" attracts humans led by Charles Bishop Weyland (Lance Henriksen), who unknowingly activates an alien egg production line. Three Predator hunter initiates enter the structure, killing all humans in their way with the intention of hunting the newly formed alien warriors. 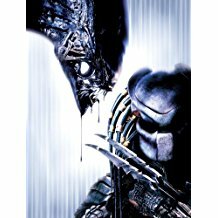 Two Predators die in the ensuing battle, while the third allies itself with the lone surviving human, Alexa Woods (Sanaa Lathan) in order to battle the escaped Queen Alien. The Queen is defeated, but not before she fatally wounds the last Predator. The orbiting Predator ship uncloaks and the crew retrieve the fallen Predator. A Predator elder gives Alexa a spear as a sign of respect, and then departs. Once in orbit it is revealed that a chestburster was in the corpse, though this specimen has Predator mandibles. 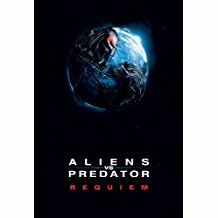 Set immediately after the previous film, the Predalien hybrid on board the Predator scout ship, which just separated from the mothership from the previous film, has grown to full adult size and sets about killing the Predators on board the ship, causing it to crash in Gunnison, Colorado. The last survivor activates a distress beacon with a video of the Predalien, which is received by a veteran Predator, who sets off towards Earth to "clean up" the infestation. When it arrives, the Predator tracks the Aliens into a section of the sewer below town. It removes evidence of their presence as it goes by using a corrosive blue liquid. It uses a laser net to try to contain the creatures, but the Aliens still manage to escape into the town above. The Predator fashions a plasma pistol from its remaining plasma caster and hunts Aliens all across town (accidentally cutting the power to the town in the process). During a confrontation with human survivors, the Predator loses its plasma pistol. The Predator then fights the Predalien single-handedly, and the two mortally wound one another just as the US military drops a tactical nuclear bomb on the town, incinerating both combatants and the few remaining humans in the city. The salvaged plasma pistol is then taken to Ms. Yutani.